Apps and websites such as Kik, Snapchat, and teen dating sites such as MyLOL, are filled with both innocence and harm. And it's possible that someone who starts with innocent intentions can land smack dab in the middle of a treacherous danger zone. Some of our teens who are using these forms of social media are able to use them without sending and/or receiving inappropriate pictures or meeting older men or engaging in inappropriate conversations. Some of them who find themselves in dangerous situations are equipped to handle themselves appropriately. They know how to get out and get away. But some of our teens only *think* they know (or they really don't know at all) , but before we know it, there is a messy situation at hand. 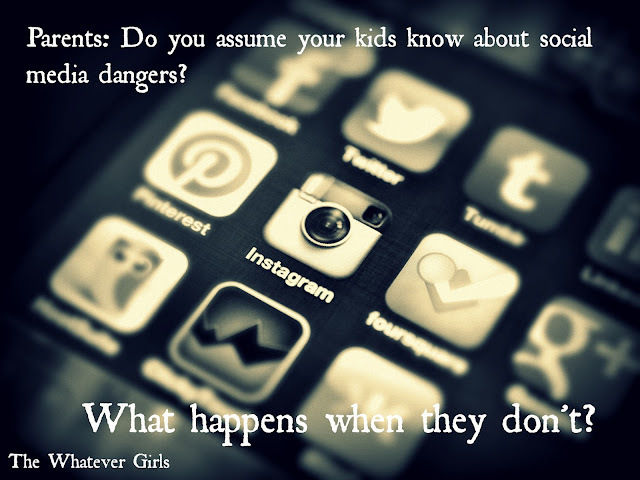 Come read about ways to communicate with your teen/tween about social media at the Whatever Girls? Comments closed here so we can all talk over there.